But can this unbeatable force take on the most lovable of the Avengers? 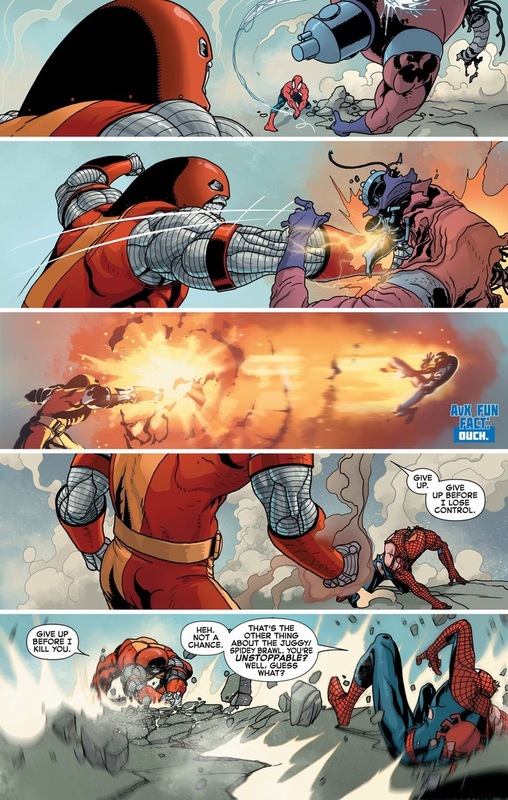 Can Colossus defeat my personal hero and inspiration to preteens everywhere? Oh my goodness, yes, Spider-Man doesn’t stand a chance. We’ve discussed Spider-Man’s strength level before — he can lift roughly ten tons, which won’t be anywhere near enough to even dent the Russian monster. 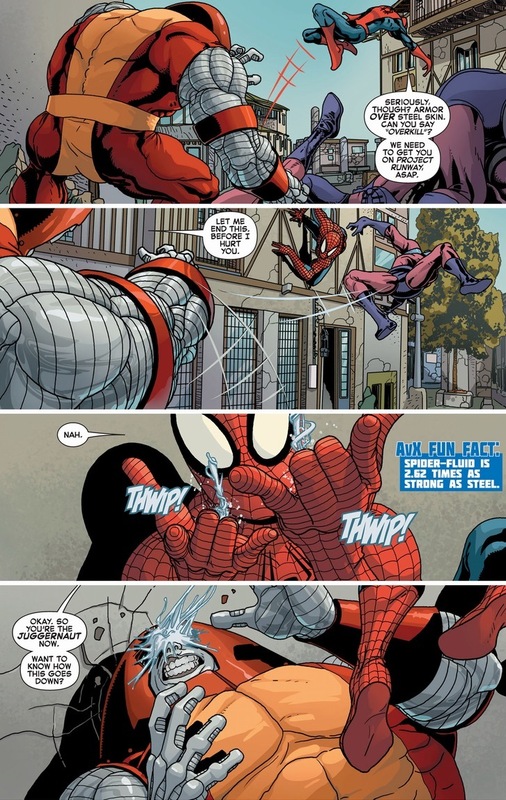 Think of Peter Parker as a fly constantly buzzing in Colossus’ ear. Yes, the fly’s annoying and frustrating, but you really don’t want to squish it if you don’t have to. Still, persistence only leads to trouble and flies tend to be dumb. Poor foreshadowing for Spider-Man. For lack of proper diction, the Avengers took on the hero role in this Marvel event. 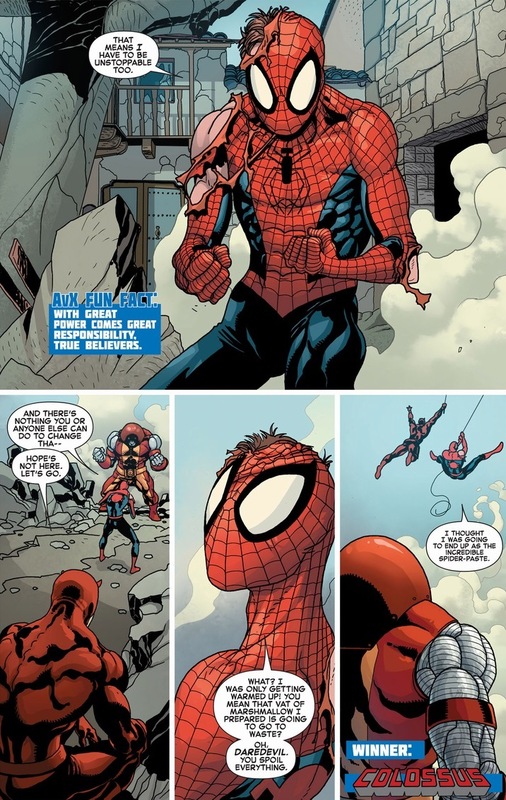 The X-Men ended up all villainous or defecting to the “good guys.” We’re supposed to be cheering for Spider-Man, and because of my unashamed bias, I always cheer for Spider-Man. 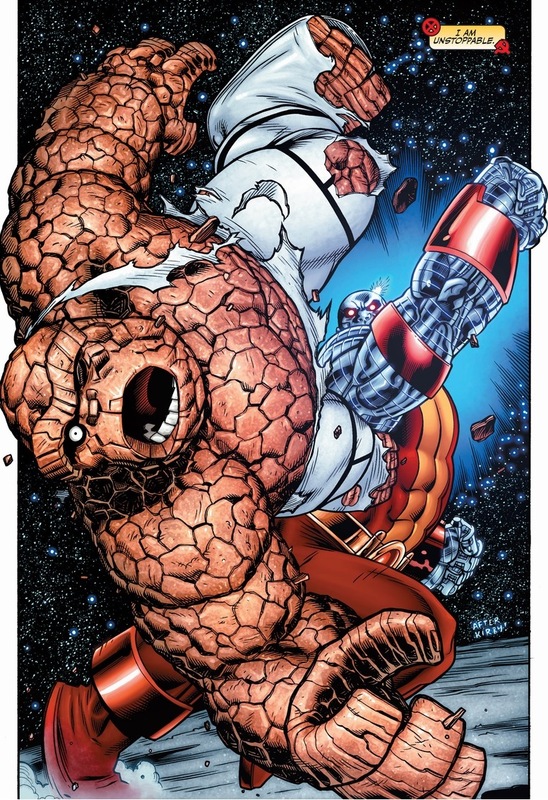 But to be honest, this fight’s meaningless in the Marvel universe. 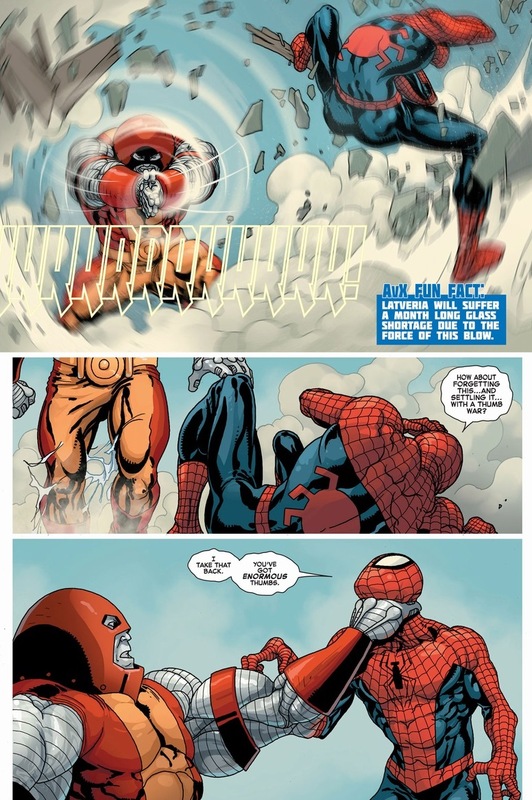 No one gains anything from victory, except maybe a panel a few years down the road where the victor mentions this beatdown during combat banter. Though both combatants end up in pretty bad shape after this thing wraps up. 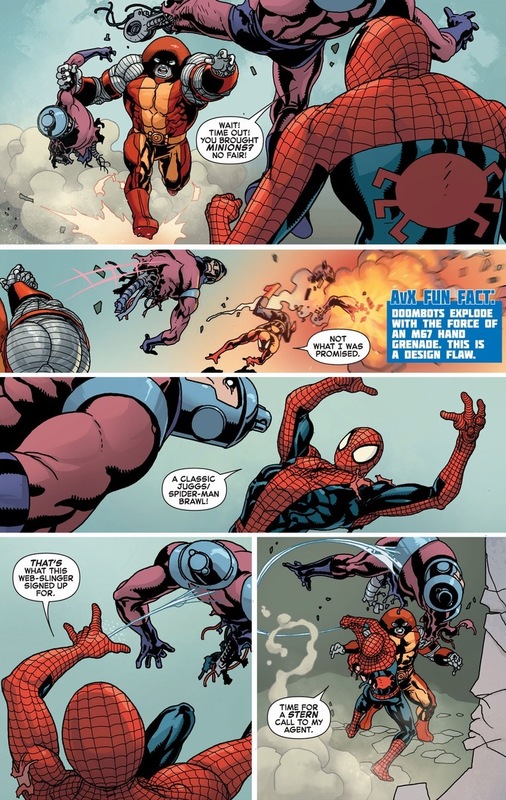 Colossus joins X-Force as a fugitive with out of control superpowers and Spider-Man dies an embarrassing death by his arch-nemesis of the 1980s. Still, for the moment, all’s well. Sort of. Ready for the big finale? 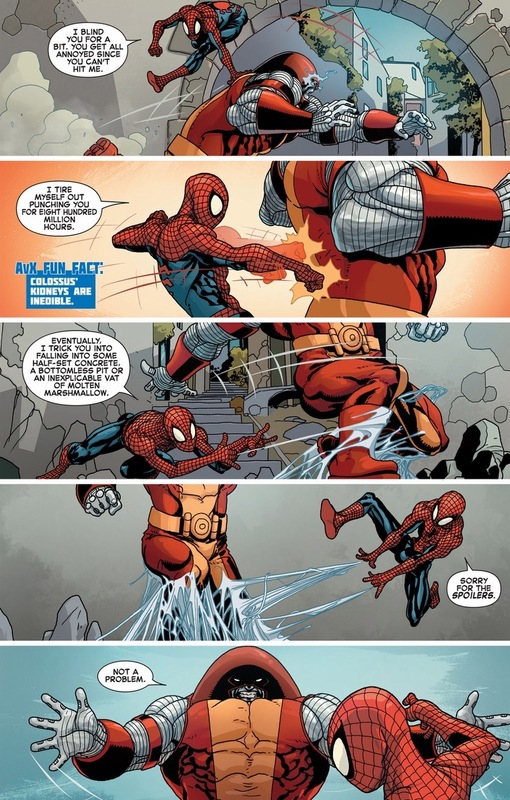 Spider-Man does possesses a genius intelligence. Certainly he can out-strategize the lumbering brute. A well-earned win for Colossus. 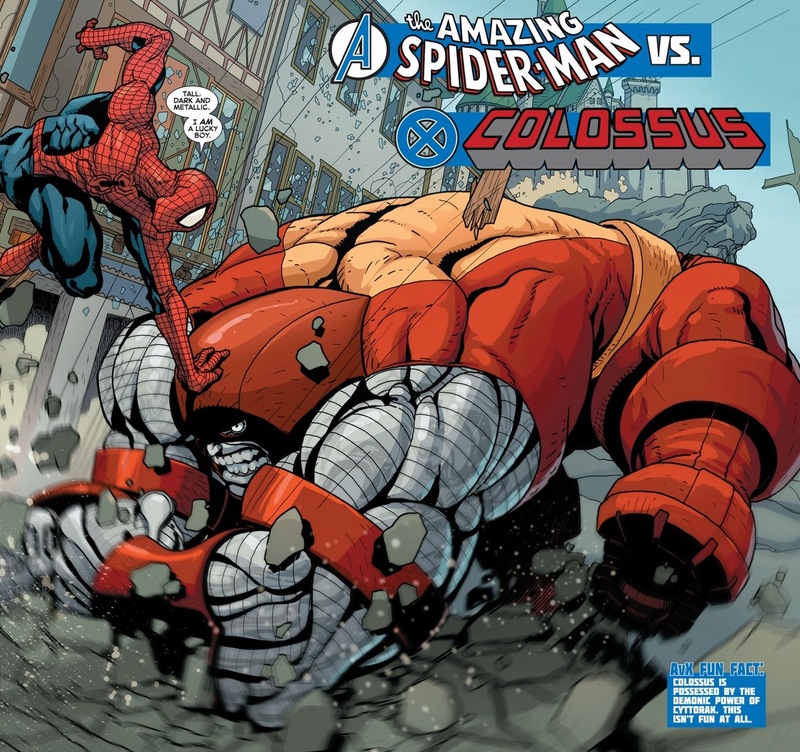 Eventually a few issues later, Spider-Man defeats Colossus and his sister Magik using manipulation, ego, and all those normal debate tricks that work on power-hungry maniacs. 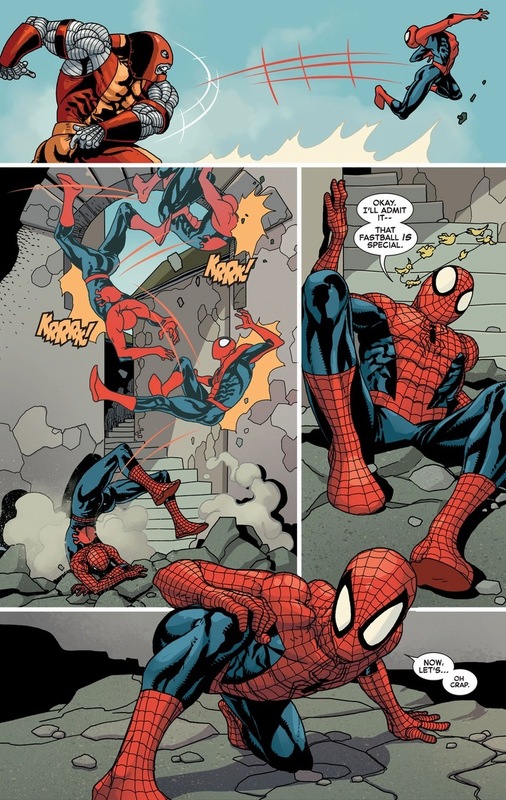 Because even while Spider-Man never ends a fight without his costume in tatters and his body bloodied and broken, he’s always victorious in the only place that matters: my heart. I regret nothing I’ve said. I have good stuff for Monday! I love you all. Do something awesome this weekend! 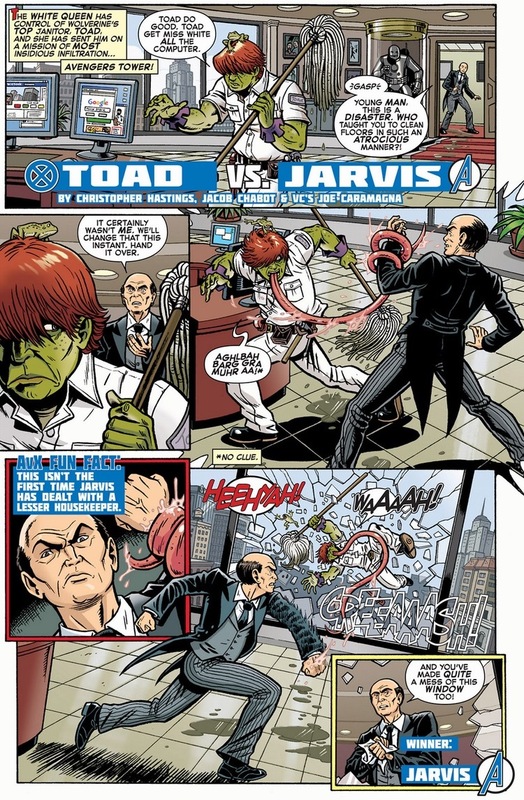 Jarvis was trained in hand to hand combat by Captain America, so Toad didn’t stand a chance. Also, when did Toad mutate again? I thought his mutation was stabilized, making him resemble the version of Toad in the first X-Men movie. Avengers were heroic in name only.